See Salisbury, Stonehenge, and Roman Bath on this full day tour outside of London. It includes a panoramic tour of Bath, Salisbury Cathedral, and the mysterious Stonehenge. Buy tickets to Salisbury, Stonehenge, and Roman Bath now! 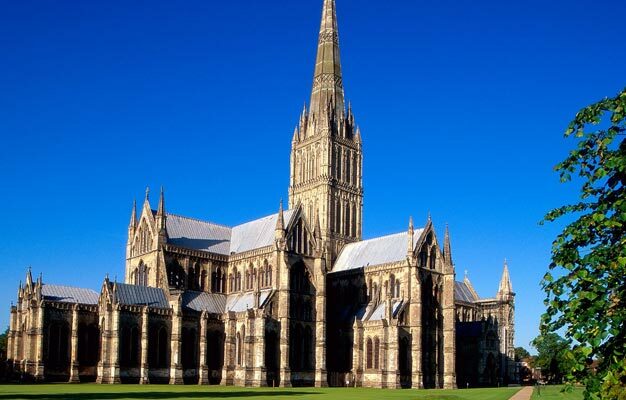 Begin your tour with a visit to the beautiful Salisbury Cathedral, a world-class heritage attraction. Its spire is the tallest in England (123 meters). You will get to see the inside of the Cathedral and discover its graceful and elegant proportions. You will also visit The Chapter House where you will be able to see the oldest working clock in Europe. Next, visit the mysterious Stonehenge and explore this amazing site. It has been a place of worship, a Bronze burial ground, and an astronomical clock and it dates back almost 5,000 years. Finally continue on to Bath where you will take a panoramic tour and see Pulteney Bridge, the Royal Crescent, and Bath Abbey before entering the Roman Baths. They were built over 2,000 years ago and are still in perfect working order. - Child prices are valid for children aged 3-16 years. - Salisbury, Stonehenge, and Roman Bath ends at Victoria Train Station.